Daniel Houghton, CEO of Lonely Planet. Captains of industry will meet with students, academics, and researchers from May 16-19 to ignite a dialogue of ideas and proposals to establish best practices in the tourism industry. 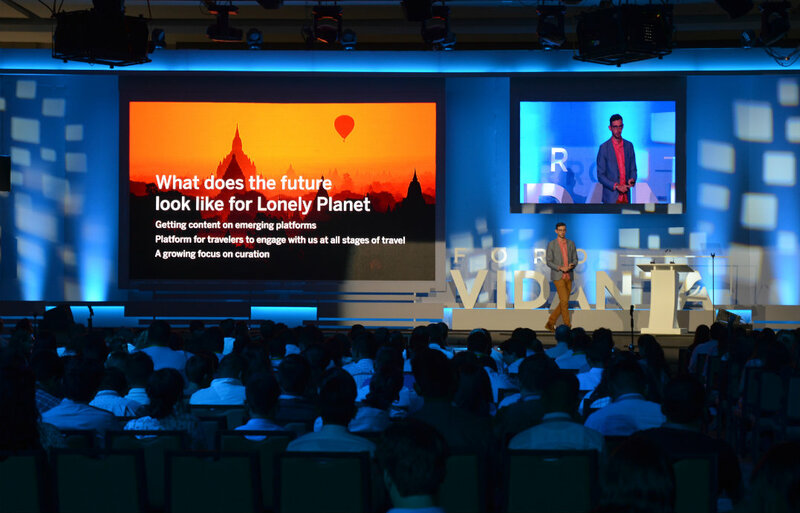 The inaugural Vidanta Forum titled “Tourism as an Economic Development Engine” opened at the Vidanta Nuevo Vallarta complex, located in the Riviera Nayarit, during a time when the tourism sector—a vehicle for economic transformation and progress—currently generates one of every five jobs in Mexico and is the second largest source of foreign currency for the country. 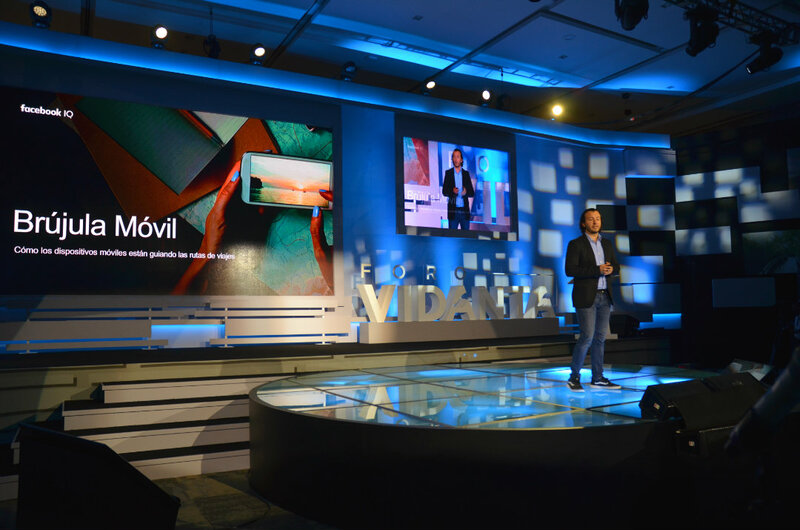 This Forum, taking place from May 16-19, brings together captains of industry from the tourism sector as part of an initiative of the Vidanta Foundation in order to ignite a dialogue between opinion leaders and international figures from different industries and establish the best practices in the tourism industry. The event spans the following four topics: Tourism and Digital Strategies; The Environment and Sustainable Tourism; Mexican Gastronomy as a Touristic Attraction; and Creativity and Culture: Mexico’s Ambassadors to the World. Over these four days the Forum will welcome approximately 450 attendees, including students from different universities around the country, young entrepreneurs, professors, and academic researchers. Institutional allies included the College of Mexico (Colmex), the National Autonomous University of Mexico (UNAM), and the Center for Research and Teaching in Academics (CIDE), with a special collaboration on behalf of the Anáhuac University. Daniel Chávez Morán, Founder and President of Grupo Vidanta. The official event inauguration held on Wednesday May 16th was led by Antonio Echeverría García, Governor of the State of Nayarit, during a ceremony headed by Daniel Chávez Morán, Founder and President of Grupo Vidanta; Iván Chávez, Executive VP for Grupo Vidanta; and Robert Russell, President of the Vidanta Foundation. Special guests included Jaime Cuevas Tello, Municipal President of Bahía de Banderas, and his counterpart in Puerto Vallarta, Rodolfo Domínguez Monroy. 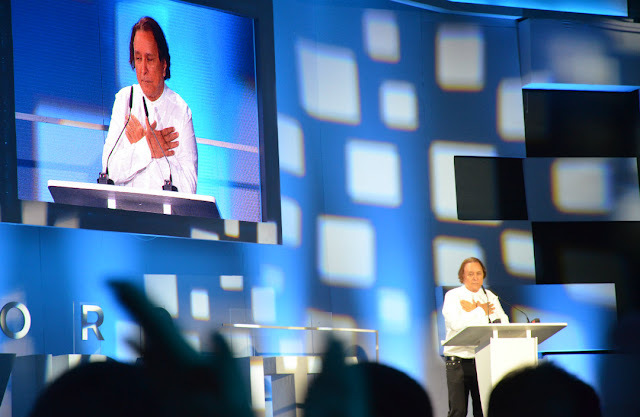 During his speech, Daniel Chávez Morán announced his interest in driving improvements in the villages and neighborhoods surrounding their developments, beginning with Jarretaderas in Bahía de Banderas, to be followed by Las Juntas in Puerto Vallarta at a later date. The conversation revolved around Tourism and Digital Strategies on the first day of the event with a presentation by Daniel Houghton, CEO of Lonely Planet, one of the world’s top publishers of travel guides. On Thursday the topic was the Environment and Sustainable Tourism with the participation of US actresses and activists Brooke Shields and Gwyneth Paltrow. The latter spoke about Goop, her passions and vision in travel, food and style; Shields discussed tourism and lifestyle. The following days will include talks about Mexican Gastronomy as a Touristic Attraction and Creativity and Culture. Invited speakers include Daniel Lamarre, President and CEO of Cirque du Soleil and creator of the Joyà show in Riviera Maya; Chef Ferran Adrià, considered by many to be one of the top chefs in the world; Tomás Bermúdez, representing BID in Mexico; and Hugo D’Acosta, Mexican oenologist. After the event’s closure, the institutional organizations will gather the most interesting proposals and political recommendations generated in the event, which will be presented in September of this year in a document prepared by said organizations.